Tips for creating and debugging multi-threaded Mex functions are discussed. The speed of the builtin csvwrite, dlmwrite functions can be improved dramatically. An undocumented MEX function can help interrupt running MEX functions. The default clunky and release-incompatible MEX error messages can be improved using a simple hack. 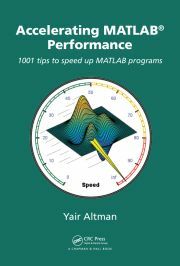 Matlab performance can be improved by employing POSIX threads in C/C++ code. Matlab does not provide a documented manner to serialize data into a byte stream, but we can do this with some undocumented functionality. Private properties of Matlab class objects can be accessed (read and write) using some undocumented techniques. Matlab’s MEX API contains numerous undocumented functions, that can be extremely useful.